and a day warm enough to sit with the Sun. soaking up some much-needed vitamin D.
By evening, you brought nourishing rain. 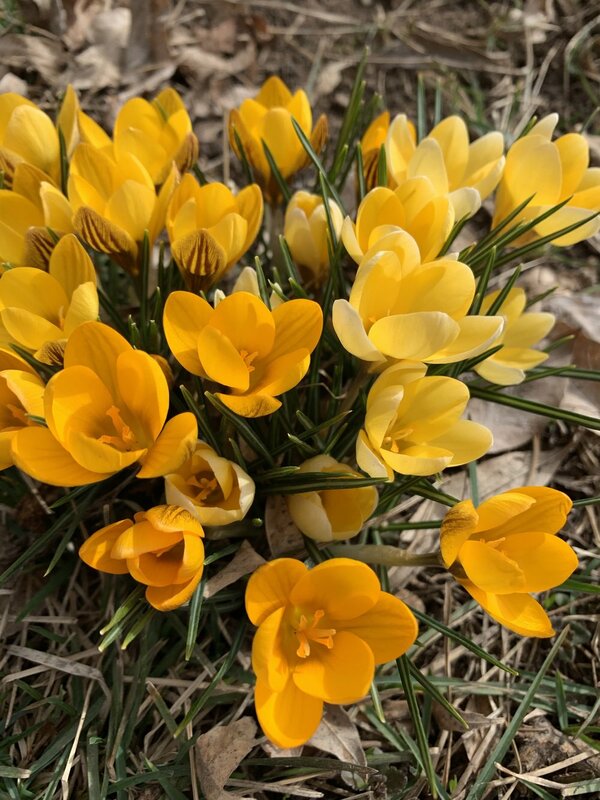 The Crocus gained an inch or more. patches of purple, gold and white. This morning I woke to a symphony of song. between branches of budding Maples and Elms. evidence of a brave and curious snail. each furry tuft capped with a bit of shell. They looked like cat claws climbing the stalk. Another Willow bloomed golden dust. patiently waiting to be carried by a breeze. displacing warmth with a bitter chill. you leave signs of hope. Praise for the Crocus and early blooming Willows. Praise for the Snowdrops and the courage of Snails. every bird song billowing out from the trees. helping me ride the winds of March.